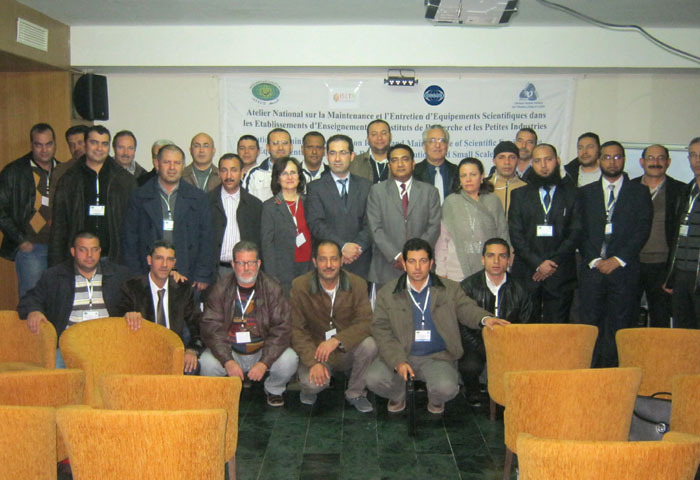 The national workshop on “Repair and Maintenance of Scientific Engineering Equ ipments in Universities, Research Institutions and Small Scale Industries” concluded on December 14, 2012 at Nabeul, Tunisia. The five-day workshop was organized by the Commission on Science and Technology for Sustainable Development in the South (COMSATS), the Islamic Educational, Scientific and Cultural Organization (ISESCO) and the Tunisian National Commission for Education, Science and Culture (TNC), under the COMSATS-ISESCO Cooperation Programme (2012). Higher Institute of Technological Studies (ISET) of the Ministry of Higher Education and Scientific Research, Government of Tunisia hosted this national workshop. The main objective of this workshop was to develop indigenous capacities of Tunisian scientists and institutions to be able to repair and maintain their scientific equipment and keep them operational, through hands-on training. The inaugural ceremony of the workshop was held on December 10, 2012, at Nabeul. Dr. Mohammed Khlifi, Secretary General of the Tunisian National Commission; Mrs. Wafaa El Alami, Head of ISESCO Centre for Promotion of Scientific Research (ICPSR); Dr. Foued Lindolsi, Director of ISET; and Mr. Nisar Ahmad, Senior Assistant Director, COMSATS represented their respective organizations at the Inauguration. Dr. Lindolsi welcomed the participants and representatives from ISESCO and COMSATS. Dr. Khlifi applauded the efforts made by COMSATS and ISESCO for their support in organizing the workshop in Tunisia. Mrs. El Alami welcomed the partners and participants and read-out the message of H.E. Dr. Abdulaziz Othman Altwaijri, Director General ISESCO, who stated that the event would promote South-South cooperation in addressing scientific needs of ISESCO Member States. Expressing his satisfaction over ISESCO-COMSATS collaboration that started in 2004, Dr. Altwaijri in his message expressed special thanks towards Dr. Imtinan Elahi Qureshi, Executive Director COMSATS, for his valuable support towards this event. In his message, Dr. Qureshi highlighted the importance of the theme of the workshop and hoped that it would prove to be a good learning experience for the participating institutions and individuals. Two subject-experts from the Pakistan Council of Scientific and Industrial Resear ch (PCSIR), Pakistan, Mr. Arif Karim and Mr. Faisal Ghazanfar, and one local expert, Mr. Abidi Hatem from ISET, imparted training to Tunisian scientists, engineers and teachers during 10 technical sessions of the workshops on various topics including: Spectrophotometer Systems; XRF-Systems; Atomic Absorption System; PCR Systems; Gas Chromatographic Systems; HPLC Systems; Mass Spectroscopy; Mass Detectors and Mechanics and Thermal Analyzers. 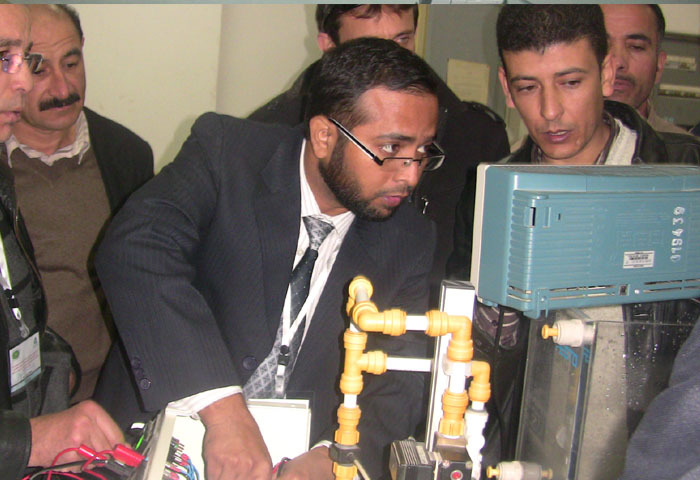 The sessions also comprised lectures that complemented the hands-on training in labs of ISET. So far, more than 180 technicians, engineers and scientists from COMSATS’ member States have received hands-on training on various scientific instruments, helping them in indigenous upkeep and maintenance of their instruments and reducing their dependence on foreign experts. This event was the 6th workshop on the same theme that started back in Sudan in 2004 followed by similar national events in Sudan, Syria, Senegal and Egypt. More than thirty (30) participants, including engineers, scientists and teachers from different cities of Tunisia benefited from the present workshop. The workshop provided the participants an opportunity to learn latest repair and maintenance techniques and helped develop their capacity by training the master-trainer for maintenance o f expensive scientific equipment used in the academic and research institutions of Tunisia, especially in ISET, enabling them to locally address the maintenance issues. Using the knowledge and techniques, learnt during the workshop, participants successfully repaired/made operative a number of expensive and important equipments those were lying useless for many years. The equipment that was fully repaired included: Three Dimensional Measuring Machine (CMM), Ultrasonic Tester, Micro-Milling, Bench of flow Control and Bench of Simulator TV defects, while problems were also identified in number of other faulty equipments. The closing ceremony of the event was held on December 14, 2012. Mrs. Wafaa Alami, Dr. Foued Landalsi and Mr. Nisar Ahmad gave a vote of thanks, while Dr. Khlifi gave the closing remarks. The participants expressed their gratitude to ISESCO and COMSATS for organizing the workshop and providing a good opportunity of learning and enhancing their expertise. Mrs. Alami, Dr. Khlifi and Mr. Nisar distributed the certificates among the participants.